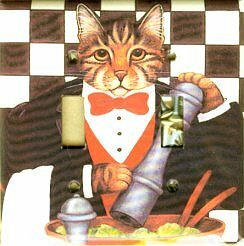 This double cat light switch cover features a cat making a salad (catnip salad?). This metal cover has a durable finish so it wipes clean with a damp cloth. Hardware included.